This single came the way of my inbox and I noticed that this is apparently the hottest record in the world right now, according to Zane Lowe. That caught me off guard a little to say the least. Now I know that over the last few days that their behaviour has been controversial to say the least and some debates are still on going about them but regardless of whether you’re a feminist, a devoted believer in the band or whatever misconceptions of contradictions people want to throw at each other… Their actions are wrong and pretty derogatory. Plain and simple though I won’t let that be a judge on their music but given my review of ‘Pacifier’ last year then don’t expect a glittering endorsement. 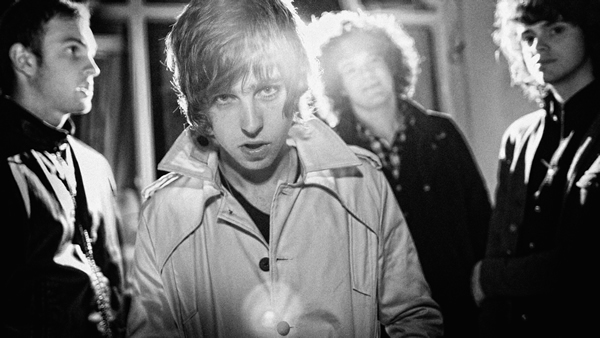 The song opens with the soft edged thump from the percussion and the simple strikes of the guitar before it jangles and jungles it’s way into the chorus and Van McCann’s impression of the Kooks trying to sound like The Strokes turns into more of a Johnny Borrell scream, which even Johnny Borrell wouldn’t be too impressed with. The guitars really don’t seem to have much if any purpose and it’s only the crashing percussion that gives the song any signs of life. This track is even more unoriginal and beige-like than ‘Pacifier’ was and it makes the perceived arrogance of Van very unfounded. Bringing back on point; this song has been plucked from 2004 and this is a song I might have enjoyed as a nine year old but come on… think for yourselves… nothing new or intriguing and even the delivery is so tame. The only thing I can say is listen to ‘Pacifier’ as it’s a mild improvement.